Physical activity is an effective way to help improve the many mental and physical side effects of breast cancer treatment. Yet, studies show up to 70 per cent of breast cancer survivors are not getting enough activity. This may be about to change thanks to new research from UBC’s Okanagan campus that demonstrates that financial support and incentives are effective in increasing physical activity among breast cancer survivors. Called Project MOVE, the program offers ‘action grants’—a combination of microgrants up to $2,000 and additional financial incentives—to prompt and sustain physical activity. Caperchione adds that the action grant scheme has long been used to stimulate personal growth and improve access to social and health services. With this in mind, Project MOVE used the microgrant model to make physical activity more accessible and enjoyable for breast cancer survivors. Caperchione and her colleagues invited breast cancer groups to submit microgrant applications, which outlined their physical activity initiatives. A review panel identified successful applicants and provided funding for their proposed activities. The effectiveness, acceptability and satisfaction of the program were evaluated at 6 and 12 months. More than 86 per cent of the participants were satisfied with their program, 70 per cent learned about new physical activities and more than 96 per cent agreed that Project MOVE was appropriate for breast cancer survivors. Many participants were confident that they would continue with physical activity following positive experiences with the project. Caperchione adds that the benefits of exercise cannot be understated. “This approach may lead to similar physical activity interventions for diverse cancer survivors, because it has the potential to accommodate a wide range of interests and needs,” she says. The study, published in Psycho-Oncology was supported by funds from the Canadian Cancer Society. 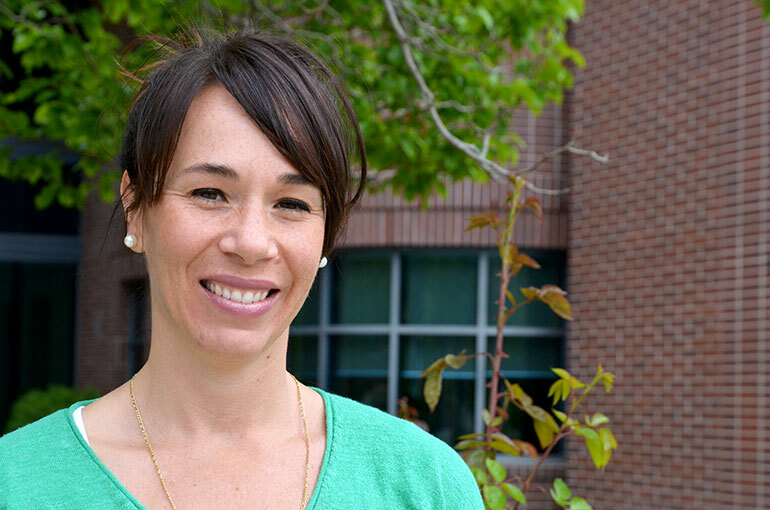 Cristina Caperchione, associate professor at UBC Okanagan’s School of Health and Exercise Sciences. According to the Canadian Cancer Society, breast cancer is the most common cancer among Canadian women. Most often, breast cancer starts in cells that line the ducts and is the second leading cause of cancer-related deaths.